I’m all grown up now. After over 5 years on a free WordPress account, I’d reached about 85% of my allowed media capacity and kept getting warnings about going over. I’ve shared 14,541 photos on the blog and they take up 2.6 gigabytes worth of space. So, it was time to upgrade, and along with a paid registration came the opportunity to become an official “dot-commer.” You can now find this page by typing in simply “drivetofive.com.” Celebrate good times (c’mon!). Today’s updates fall into the “hodge podge” category. Surprise: I didn’t go anywhere this past weekend. I’ve had too many other things going on house wise, career wise, and otherwise. But I did get to enjoy spending time with a visiting friend from Oregon, beat the heat at a Sunday matinee, and attend a planning call with the NSX Club of America (NSXCA) about current events and activities. The NSXCA, by the way, is sporting a new website of its own. Check it out. 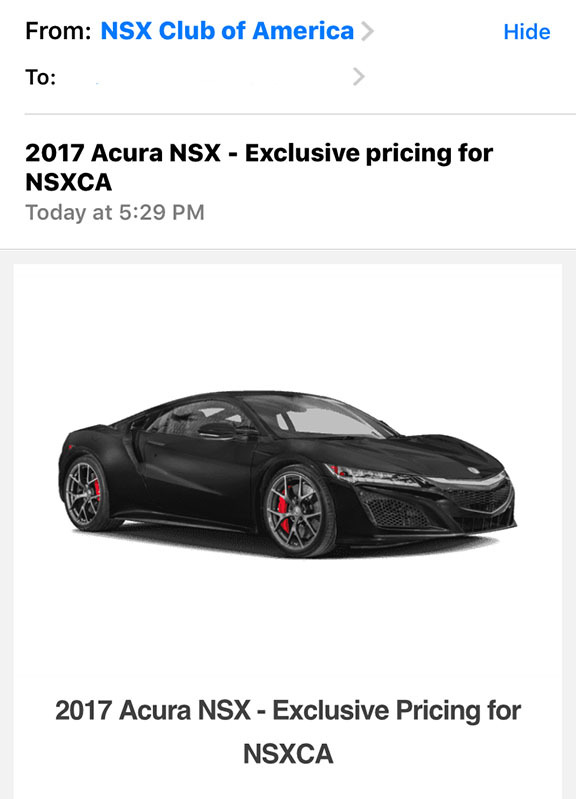 I can assure you the internal member page is pretty slick – including downloadable copies of the Club’s quarterly magazine, NSX Driver. Worth the $40 membership annually if you’re an owner or even just an enthusiast. 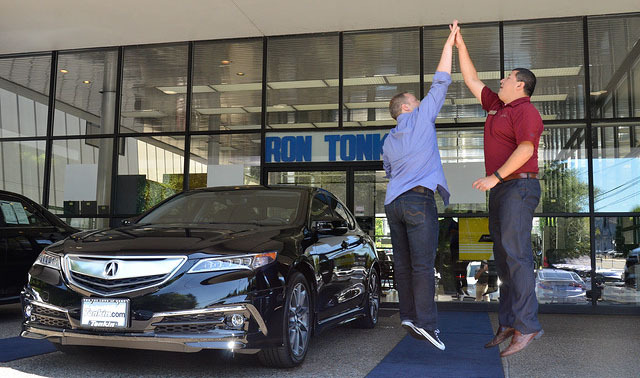 We even occasionally get “insider” deals on stuff like, say, the new NSX. Berlina Black, anyone? Also in the cool car category is this stellar-looking 1982 DMC DeLorean. Believe it or not, my boss drives this car and she’s the original owner! She was proud to show it off last Friday at the office and the next time we get the chance, we’re taking it for a spin. Maybe I can even get some time behind the wheel. Unfortunately Shea Blvd doesn’t have anywhere we could safely get up to 88 miles per hour, so maybe another time we could try that. My friend Kyle and I did an overnight car swap which was a nice change of pace. 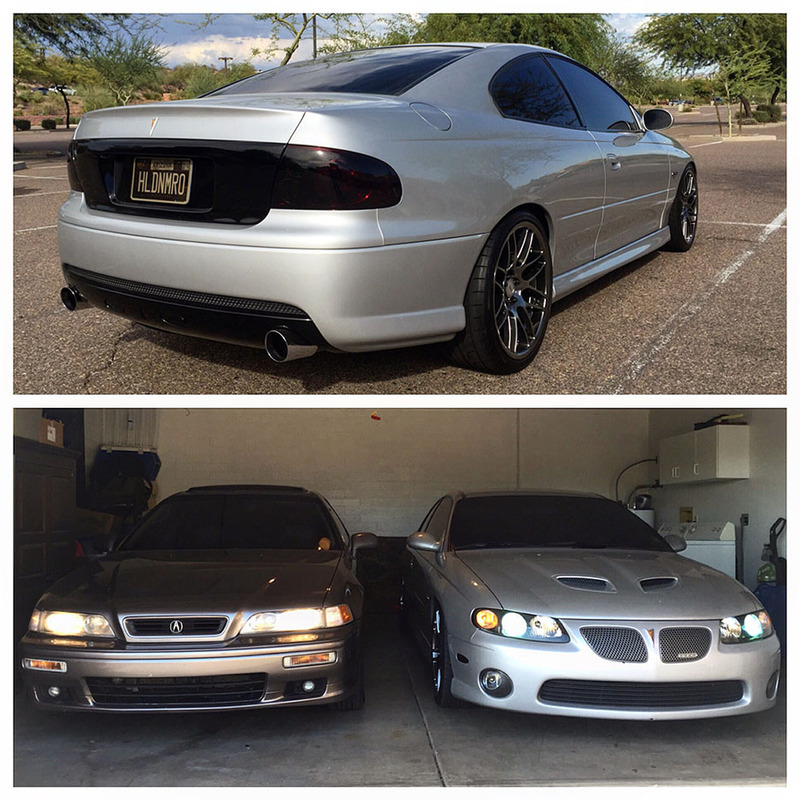 He borrowed the ILX and I got the keys to his 400-hp 2005 Pontiac GTO 6-speed. It has just a little over 101,000 miles on the odometer but looks showroom fresh inside & out thanks to Kyle’s attention to detail. I was a little paranoid to even drive the thing, but I greatly enjoyed my commute home on Friday afternoon. The GTO is a car that demands brute force to drive. The clutch is heavy, the gear shift takes effort, and the doors close with a resounding thud. There is nothing delicate or dainty about this car. Not to mention the fact that the exhaust note will awaken anyone within earshot – a mile away. 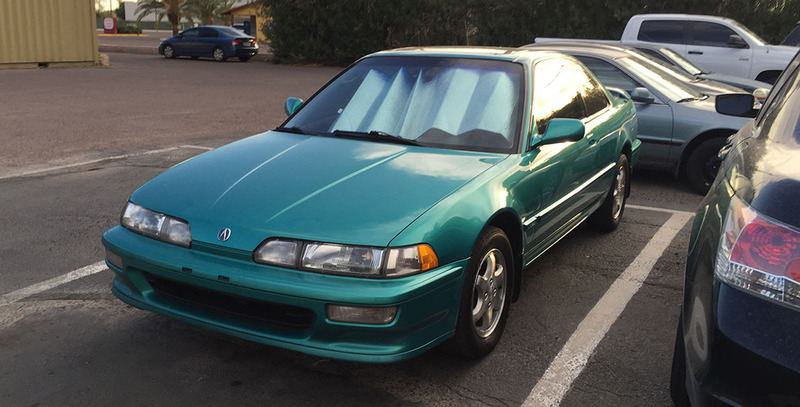 The Integra came back into service after a couple-week hiatus. 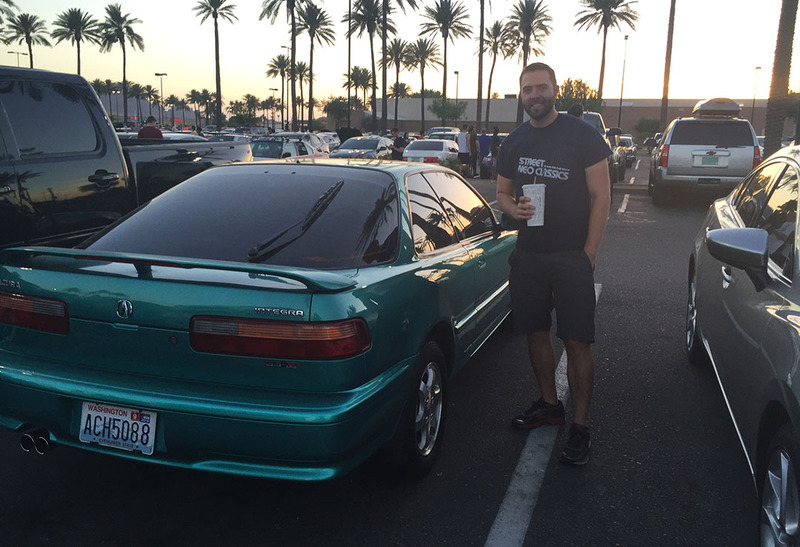 Tait Johnson, better known as “Hon-Man” of Tempe, Arizona, went through the old 1992 GS-R and gave it a real thorough once-over. The main service item he addressed was a timing belt & water pump change. This is a routine maintenance item in most 1990s Honda cars, due every eight (?) years or 90,000 miles. 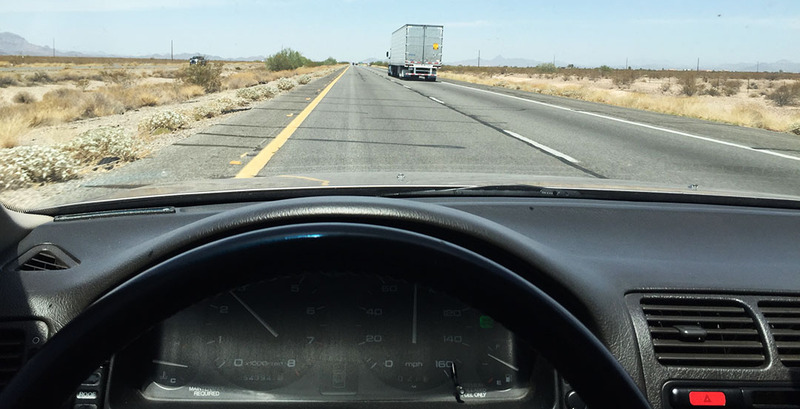 In the Legend, I routinely hit the mileage limit before the time limit over the years. Additionally, I had Tait address a couple of suspension/braking concerns and install a new catalytic converter. Some of you may recall that this car failed emissions last month when I tried getting it registered for the first time here in Arizona. Now she’s passed with flying colors. And Arizona’s newest resident! “Action Auto Title,” by the way – shown in the background – is a third-party DMV agent that I’m trying out for the first time. Do you hate going to the DMV as much as I do? This place was a breeze! I was assisted immediately. The plate was cozy and smelled of a scented candle. And the rates are only a fraction more expensive than the DMV. $55 for two year tags – you just can’t beat that. I whizzed out to Tonopah on Saturday in the Legend to get its fluids up and moving. 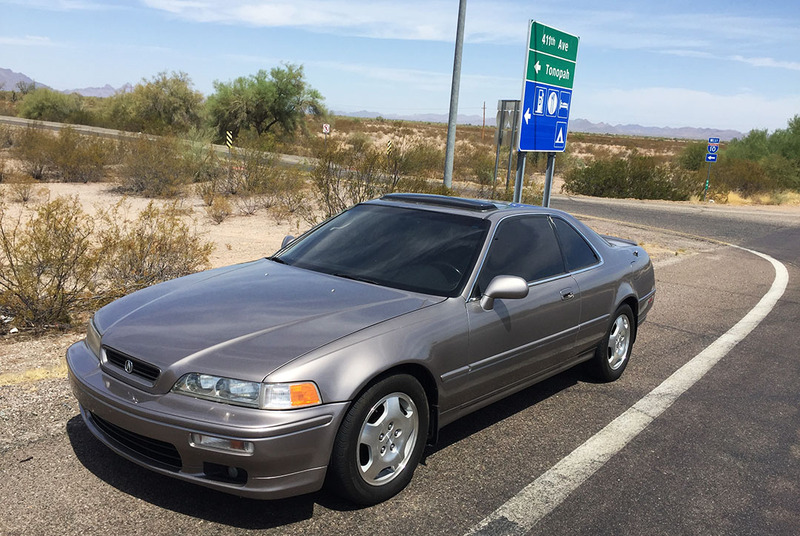 This car won’t be seeing much action until the National Acura Legend Meet (NALM) in Atlanta this coming September. 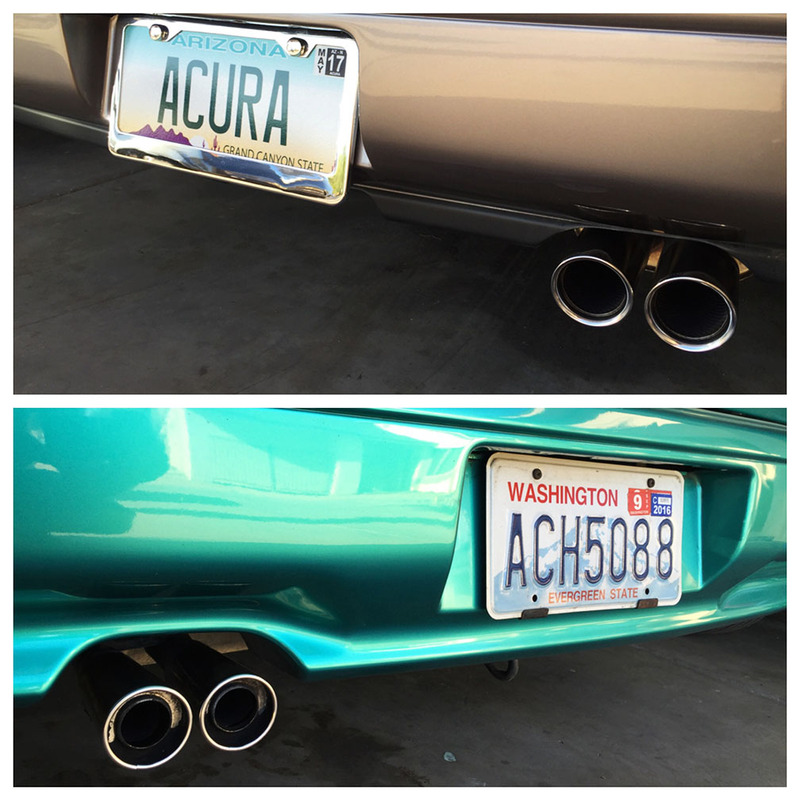 I polished tips on both the sedan & the Integra. Later that evening, I stopped by the weekly “Pavilions” car show in Scottsdale. 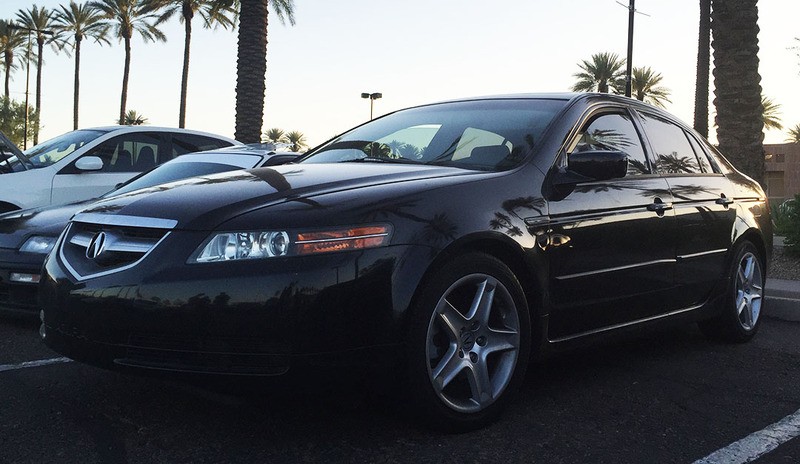 My friend Michael was attending in his black 2006 Acura TL that he wanted me to check out. It’s in great shape for being 10 years old! 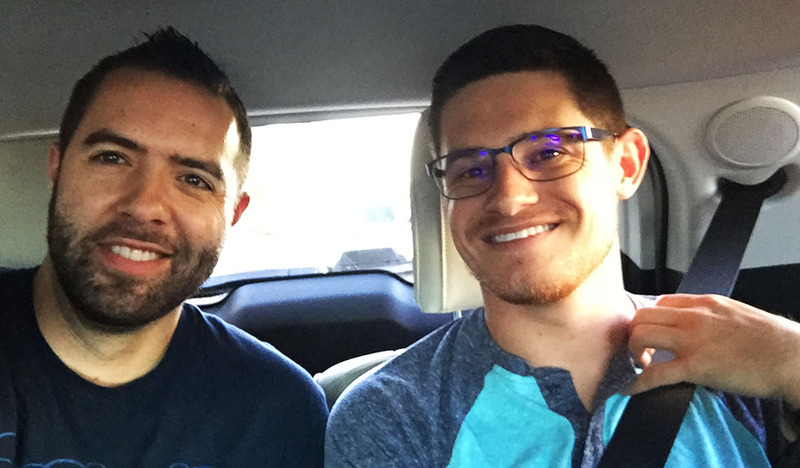 My friend Justin made his arrival from Roseburg, Oregon on Sunday afternoon. He’s a fellow car nut who I’ve followed on Instagram for some time now. And for whatever reason, he decided to leave his beautiful, green state and subject himself to summer’s wrath here in Phoenix during the hottest time of the year. His 2010 Audi A3 TDI wagon got him around in style, though. And lastly, I don’t know how my buddy Alex does it, but he has a way with capturing odometer readings. Check this one out. 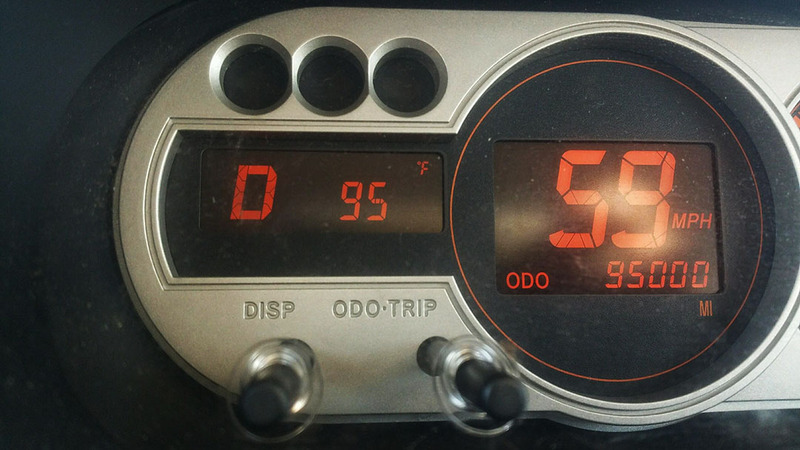 Rolling over 95,000 miles, with a 95-degree external temperature, driving 59 miles per hour. Thanks for sharing, Alex! I can’t compete with that! This entry was posted on July 26, 2016 at 5:07 pm and is filed under Integra, Legend, Maintenance. You can follow any responses to this entry through the RSS 2.0 feed. You can leave a response, or trackback from your own site. As I tell Kyle, the shifter on the GTO is similar to that of a tractor 😉 But she sure is pretty! Haha, yes! You build leg & arm muscles just driving that thing. No wonder he got so buff… Meanwhile I’m over here in an ILX you can shift with a pinky finger. I LOVE Honda gear throws!!! That last picture… was it of a Scion xB? 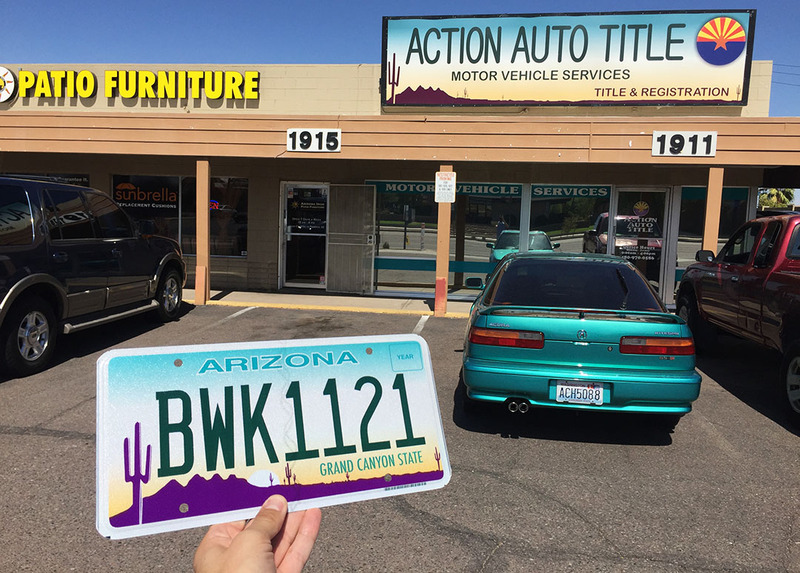 Are you planning on getting custom plates for the Integra? Also that Delorean is mint! Definitely not something you see everyday. Yes! The custom plates are already ordered. It’s just that they will take 6 weeks to get here. I’m not going to spill the beans and tell everyone what they’ll say 🙂 And one of these days I want to take that DeLorean for a spin for sure. Nothing wrong with a quiet weekend sometimes! That was a pretty long list of maintenance items for the ‘Teg. Are there any repairs/fixes still needing to be completed, or did Hon-Man get everything? Hey Tim, we got most of it. There are a few things left. The ABS light is on (typical 90’s Honda) and Tait actually recommended just unplugging the light. I’m usually not a fan of doing stuff like that so I told him to leave it. The pump is long since discontinued so I’m not sure if or where parts would even be available. One thing I do need to address still is replacement of the rear hatch struts, as both are blown and they don’t hold up the back door. I got cheapo struts for the G1 and they work fine. I always enjoy a blog update with sedan love in it! Woot woot, thanks very much! It’s a small step, but makes it easier for people to find and reach me. Always looking forward to your regular blog posts! The Monaro looks like a cool piece of kit. My boss has a 2005 Holden Commodore GTS (basically the 4 door sedan), which he now has upped to 482HP with the 6-speed manual box. It’s a beast of a car to drive! He tells me that it’s now “slow” compared to his new “daily” driver he purchased in June – a 555HP BMW X5 M. For a tank, the X5 can launch like nothing else! Wow, your boss has excellent taste in cars. 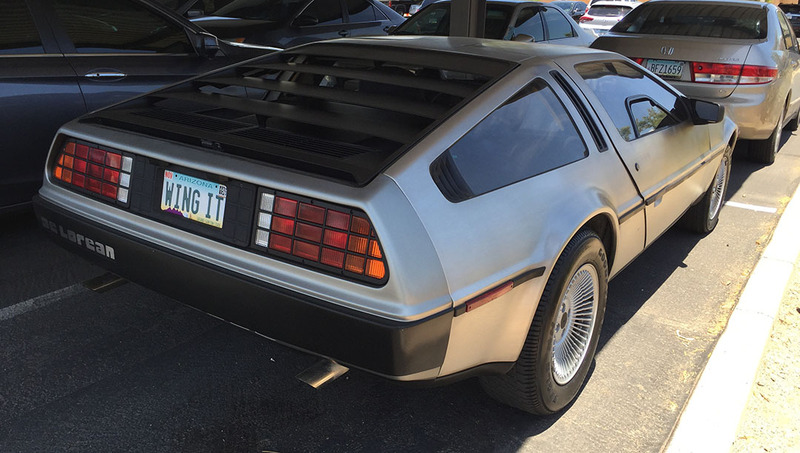 You should snap a photo the next time you’re at the office parking lot. Hope your week has gone well, Adam!